Razor rashes and bumps can be itchy, cause discomfort and can even be painful. Find out what causes razor rashes and bumps, and how you can protect your skin while you shave. Razor rashes and razor bumps are often used interchangeably, but they are actually considered to be separate conditions. Razor rashes, also known as razor burn, can cause itchy rashes, tenderness and redness. 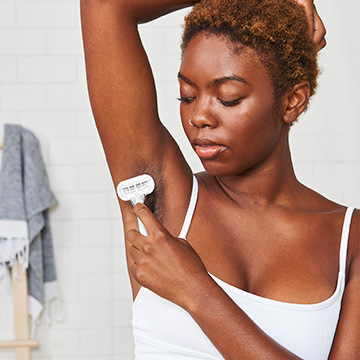 Razor bumps are ingrown hairs caused by cut hair strands that curl back into the skin and grow under the surface, causing red or skin-colored, pimple-like bumps. 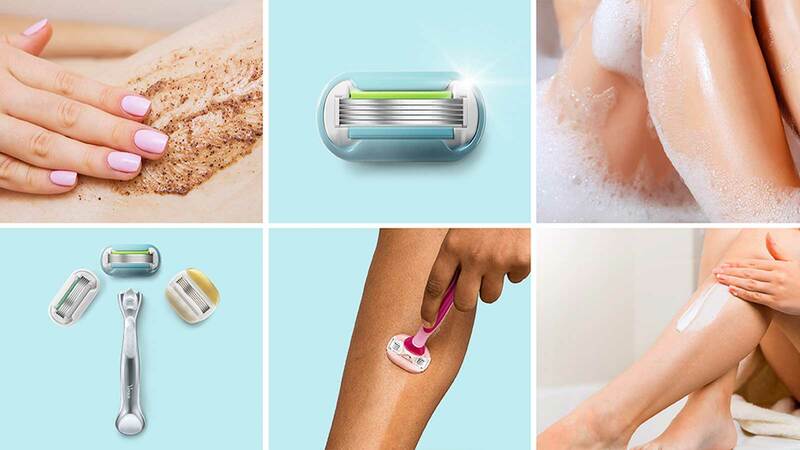 Your razor, how you shave and even your skin type all can cause razor burn and bumps. 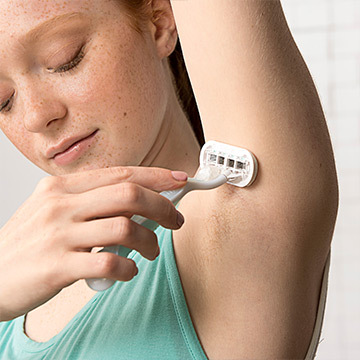 For instance, shaving dry skin with a manual razor and using a dull razor blade increase chances of developing razor burn and bumps; and if your skin is naturally more sensitive, you are also at a higher risk of developing skin irritation when shaving. Although razor burn and bumps should heal on their own without treatment, you can take steps to help speed up the healing process. For razor burn, apply a cold wash cloth or lotion with calming ingredients like aloe to soothe heated or irritated skin and prevent scratching, which can delay healing. For razor bumps, place a warm towel to the affected area for a few minutes to help encourage the ingrown hairs to break through the skin. 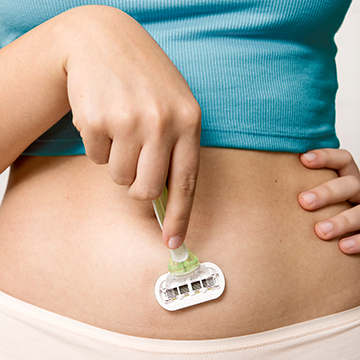 To treat both razor burn and bumps, keep skin well-moisturized to help fight the urge to itch any affected areas. If your skin irritation gets infected, see a dermatologist to get an antibiotic. 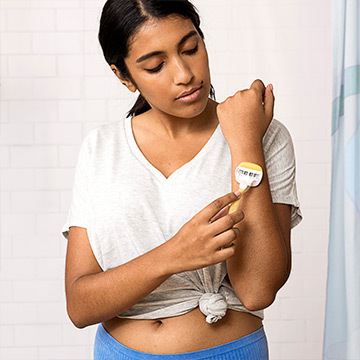 Although there is no surefire way to completely stop razor rashes and bumps from occurring, especially if you have sensitive skin, you can minimize chances of irritation when shaving. Exfoliation helps prevent razor burn and ingrown hairs by removing dead skin from the surface. To exfoliate, use a gentle scrub or loofah and gently scrub your skin before you shave. Shaving with a sharp razor blade protects your skin from nicks, razor burn and bumps. It’s time to replace your blade with a new one if it feels rough on your skin or pulls at your body hair. Shaving dry skin increases irritation, so soak the area you plan to shave for three to five minutes in warm water via a bath or shower, and apply shaving gel to maintain moisture while you shave. 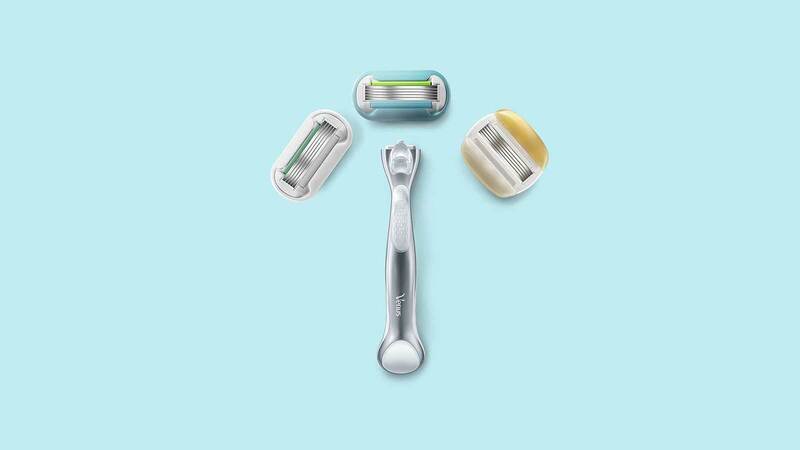 Using a razor with three or more blades can prevent razor burn and bumps because the blades are spaced more tightly together on the razor head and will glide easier across your skin. 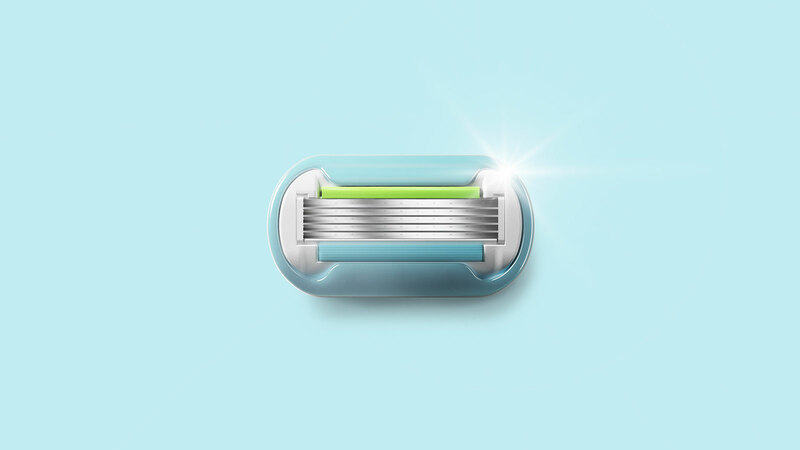 More blades also allow for a closer shave in less strokes, which helps prevent skin irritation. If your skin is more sensitive, shave only in the direction of the hair grown to avoid irritation. Also, take your time and shave in light, steady strokes. Learn more about how to shave each individual area of your body to further reduce chances of razor rashes and bumps. After you shave, apply a moisturizing lotion or oil, preferably alcohol-free, to preserve moisture and add an extra layer of protection from razor burn and bumps. Learn how you can build your own razor, and click here to see the wide range of Venus shaving products.